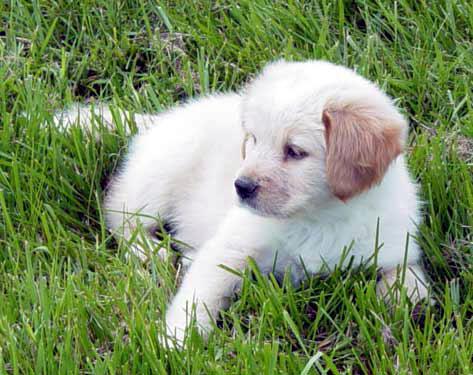 On September 13, a commercial dog breeder contacted Wayside Waifs in Kansas City for assistance. The Collins, Missouri dog breeder had decided to shut down his operation and wanted to immediately surrender more than 50 dogs. If Wayside Waifs was unable to take them, he planned to send the dogs to auction where they would be purchased by another dog breeder and subjected to more years of non-stop breeding. Wayside Waifs went into action. Kennels were prepared and their volunteer Bath Brigade was mobilized. When the animals arrived at Wayside that afternoon they received a thorough vet exam, vaccinations, food, baths, and they were also given names for the first time in their lives. These are just the first few steps in their transition from former puppy mill residents to a family's cherished pet. Over the next few weeks they will be made available for adoption. For Love of a Dog is barking about puppy mills this week as we count down to September 17 - National Puppy Mill Awareness Day 2011. Thank you for barking about puppy mills! I can't believe this still goes on, but humans are capable of some crazy stuff.